Rifle Paper’s greeting card with an envelope. The card has a blank interior. Measures 10,8 x 14 cm. 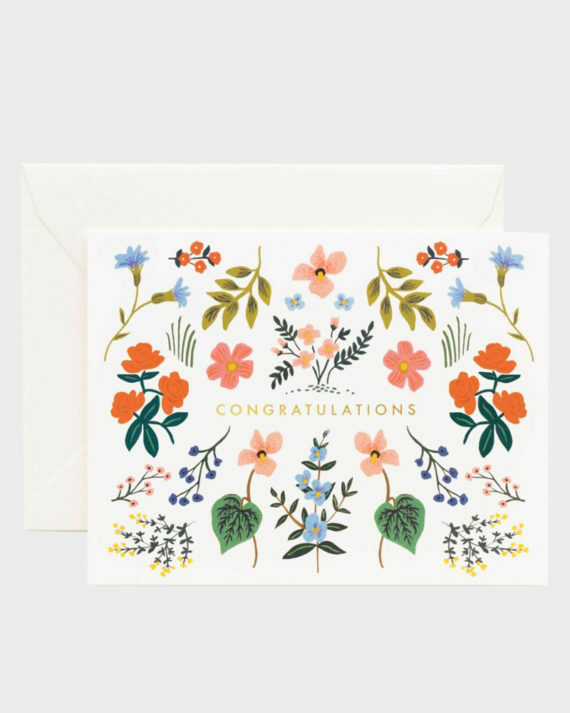 This card with detailed flowers and stylish gold foil congratulations goes well for many occasions of celebration. Rifle Paper’s decorative greeting card with a one-coloured envelope. The card has a blank interior and measures 10,8 x 14 cm. Designed and printed in the USA.